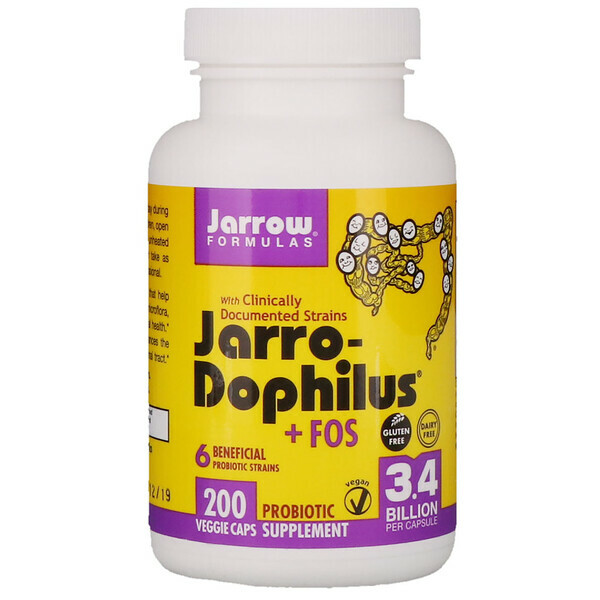 Jarrow Dophilus + FOS contains strains that help protect and maintain a balanced intestinal microflora, and support immune function and intestinal health. FOS is a natural prebiotic fiber that enhances the growth of beneficial bacteria in the intestinal tract. 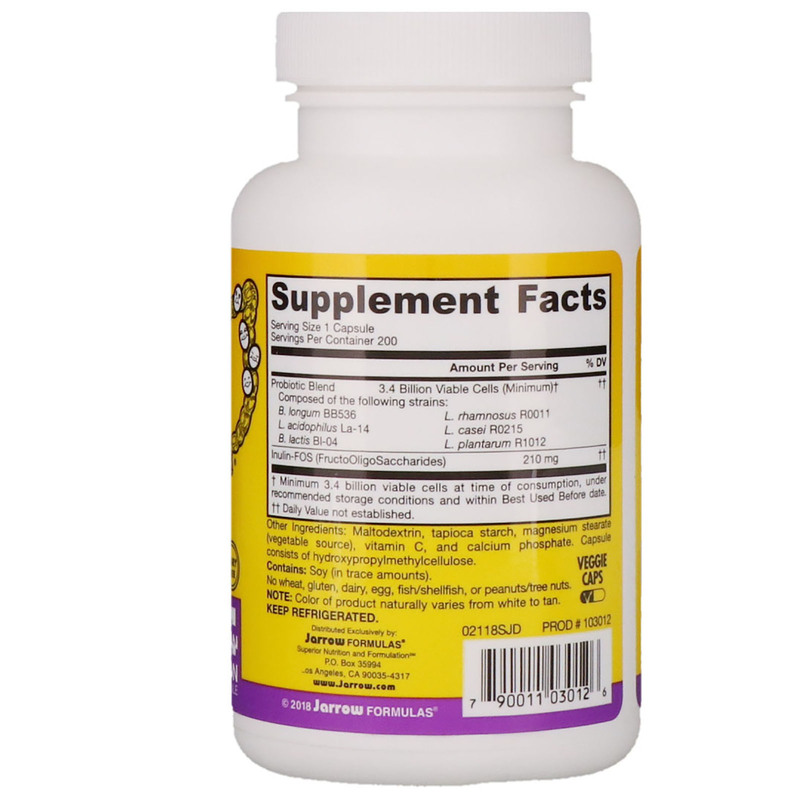 Usage: Take 1 capsule 1 to 3 times per day during or shortly after a meal. For infants and children, open capsule and mix contents with water, unheated liquids such as fruit juices, or foods. Or take as directed by your qualified healthcare professional. No wheat, no gluten, dairy, egg, fish/shellfish, no peanuts/tree nuts. †Minimum 3.4 billion viable cells at time of consumption, under recommended storage conditions and within best used before date.